Amid Jerusalem's efforts to block international recognition of a Palestinian state in September, former senior Israeli diplomats warned Saturday that Israel's current strategy might cause more harm than expected. In a conversation with Ynet, Prof. Ruby Seibel, the former legal adviser to the Foreign Ministry and an international law expert said, "We must say 'yes' to a Palestinian state, but set the conditions. "I think the approach of the government is a mistake," Prof. Siebel explained, "There is no point in struggling against recognition. There is almost an international consensus in support of the establishment of a Palestinian state. 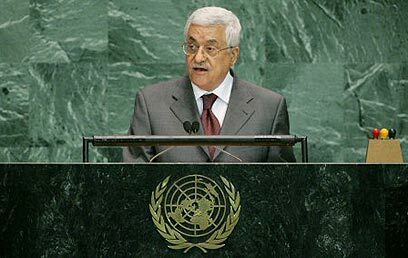 "If (the Palestinians) declare the establishment of a state – almost everyone will recognize them, and this will be reflected in the General Assembly." "This way we leave out issues that the Palestinians must discuss with us, for example the passage from Gaza to the West Bank, which they cannot do unilaterally," he said. The former legal adviser noted that a conditional recognition of a Palestinian state will alleviate the current international pressure on Jerusalem. "We have another interest in the conflict, which is to transform the international image of the conflict as portrayed by the Palestinians – a conflict between a state and a people under occupation – to a conflict between two states." Former Israeli Ambassador to the European Union and Germany Avi Primor claimed that in the case of a vote at the United Nations General Assembly in September, Israel should abstain, but later recognize the Palestinian state. "If (the vote) takes place we must declare that we recognize a Palestinian state, but within temporary borders," he noted. "This will help present the matter in a positive light. (Prime Minister) Bibi already uttered the words 'two-state solution' and 'Palestinian state' during his speech to Congress, so what is preventing us from recognizing the state without determining the final borders and resuming talks with the Palestinians, but under the banner of negotiations with a state rather than with an autonomy?" Primor criticized the government, claiming it does not want a lasting agreement with the Palestinians. "The Israeli approach could have been right, if we would have offered the Palestinians practical and reliable negotiations," he said. 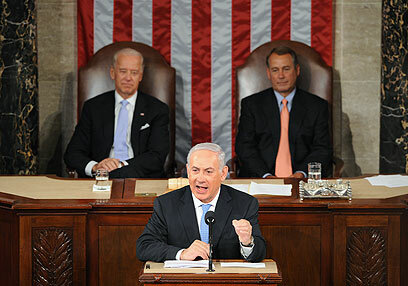 "The Palestinians want to negotiate with us, so why aren't they coming? Because they have all the reasons in the world to believe that we're not truly committed to negotiations, but rather want to drag our feet and alleviate international pressure, without achieving any results." According to Primor, "A genuine peace process will improve our image even among countries such as Turkey and the Arab states." Moshe Arad, who served as Israel's ambassador to Washington between 1987-1990, also believes Jerusalem should recognize the Palestinian state, with certain qualifications. "I don't see another option other than presenting a political initiative with the cooperation of the United States on the basis of 1967 borders, with necessary changes," he said. Similarly to Primor, Arad also frowned upon Netanyahu's conduct, saying that "The diligence of the current government will result with no agreement with the Palestinians and a heavy cost on the quality of our relations with the United States. See all talkbacks "Former diplomats: Recognize Palestine"